Darrell Bossert, Senior Vice President of Sales and Leasing joined IRG in 2006. His focus has been developing new business for the portfolio. Mr. Bossert works closely with our clients and potential clients to better understand their business process and facility needs. He then utilizes engineers, construction team members and financial analyst to produce creative solutions designed to maximize facility flow and efficiency in their new space or building. Mr. Bossert has placed hundreds on new tenants at IRG properties, which totals more than 35 million square feet in transactions for the company. Prior to joining IRG, Mr. Bossert was Assistant Vice President with Binswanger Global Real Estate serving on the Midwest Team. His primary focus was developing business, listing presentations, market analysis, site selection, leasing and tenant/buyer representation for Ohio and Michigan. 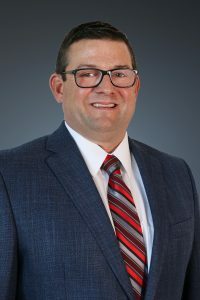 Mr. Bossert received both his Bachelor’s degree in Management and Organizational Development and his Master’s degree in Organizational Management from Spring Arbor University in Michigan. In addition, he achieved the rank of Sergeant First Class in The United States Army Reserve, where he served for 15 years.